The Minister of Health, Professor Isaac Adewole has inaugurated a Technical Working Group (TWG) on Ear Care and Hearing healthcare. The minister tasked members of the group to develop a national strategic plan that would improve the ear care of Nigerians. He said there was need to identify centres where ear care could be accessed and develop a public school for hearing screening programme targeting one million students in Nigeria. “The relationship between hearing and speaking cannot be overemphasised,’’ he said. Adewole stressed the need for the group to come up with actionable plans and pathways towards reducing preventable hearing losses, improving access to hearing health professionals, and provision of rehabilitative services to the hearing impaired. He assured the group of government commitment towards their task which is expected to be completed within four months. The minister informed that the Starkey Hearing Foundation had graciously agreed to sponsor the group activities to ensure timely completion of the national assignment. The group is expected to develop a national ear health policy, develop a national strategic plan for ear care, as well develop and implement the screening plan for ear screening in public schools across the country. 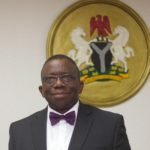 The Director of Hospital Services, Federal Ministry of Health, Dr Joseph Amedu, had earlier said that the group consisted of specialists in the field of Ear Care and Hearing Health. Responding on behalf of the TWG, Co-Chairman and Director, Global Health Research and Starkey Hearing Foundation, Dr Luqman Lawal, expressed their readiness for the task ahead. He assured of timely completion on their mandate.